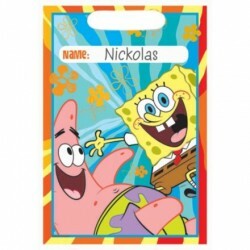 Spongebob Squarepants Party SuppliesThere are 14 products. 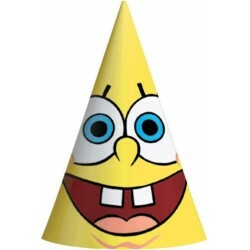 Hang this SpongeBob Latex Balloon at your next event and it will seem like all of your friends from Bikini Bottom made it to your celebration. 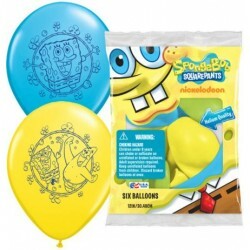 Each twelve inch balloon comes in blue or yellow and feature images of some of your favorite characters in the center. Six balloons come in each pack. 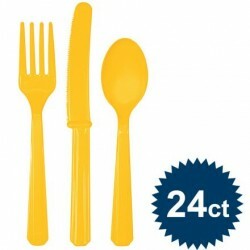 Size: 9" X 6 1/2"
Lighten up your child's birthday party with the Bright Yellow Cutlery Set. This set includes 8 bright yellow knives, 8 bright yellow spoons, and 8 bright yellow forks. 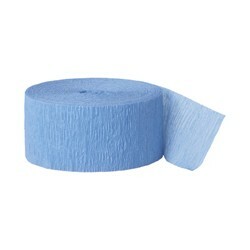 They're great for a wide variety of birthday parties. 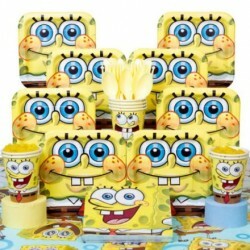 Have a little under the sea fun with our SpongeBob Cups. 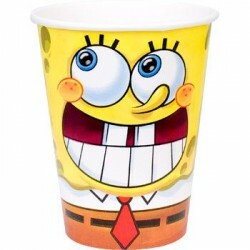 This pack of 8 paper cups features SpongeBob's smiling face and clothes. Fill up these 9 ounce cups with snacks or drinks for a well-decorated table. Sop up any nautical spills with our SpongeBob Beverage Napkins. 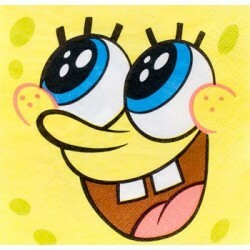 This set of 16 napkins feature sponge Bob's face on a large square. 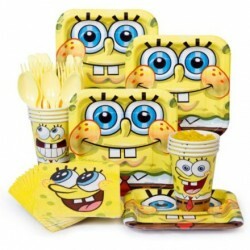 Luncheon napkins are the perfect size for snacks or drink spills and complement other SpongeBob tableware. Munch on something sweet with our SpongeBob Cake Plates. This pack of 8 plates features SpongeBob's face on a small rectangle. These cartoon cake plates are the perfect size for snacks or dessert and will add a splash of color to your tableware. 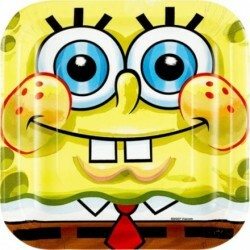 sop up any drips from your Krabby Patties with our SpongeBob Napkins. 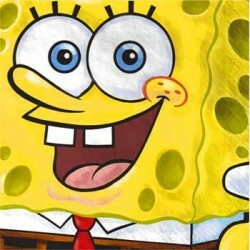 This set of 16 napkins features SpongeBob's face and clothes on a large square. Complement your character tableware with red or yellow solid paper goods. Dress up your food table with our SpongeBob Table Cover. 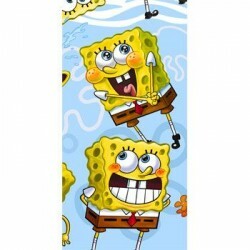 This disposable tablecloth features different SpongeBob poses on a light blue background. Complement your table decoration with festive patterned tableware and solid color paper goods. Size: 54" x 96"